Samuel Anthony (centre) of St Augustine tries to evade the challenges of St Anthony's Che Benny (left) and Quinn Frederick during yesterday's SSFL Premier Division encounter at St Augustine. NAPARIMA College stayed on top of the Secondary Schools Football League (SSFL) Premier Division with a convincing display in Round 13 action at the Larry Gomes Stadium in Arima, yesterday. Naparima remained two points clear at the top of the standings with a 5-0 win over last-placed Speyside High School. Everybody wanted to score for Naparima on the day as five different players found the back of the net. Judah St Louis opened the scoring in the 17th minute, a lead Naparima took to halftime. The floodgates opened in the second half with Nikel Rawlins and Ronaldo McIntosh scoring in the 51st and 59th minutes respectively. Two late goals from Tyrike Andrews (84th) and Isa Bramble (90th) rounded off the scoring for Naps. Second placed St Anthony’s College stayed in contention for the title with a 4-2 victory over St Augustine Secondary at the latter’s school ground. St Anthony’s also shared the goals with Jadon Powell, Che Benny, Jodel Brown and Haile Beckles all getting their names on the scoresheet. Nykoaea James and Jerell Maloney netted consolation items for St Augustine. At St Mary’s College Ground, the home team suffered a 5-1 defeat to fellow North-based team Fatima College. After no goals in the first half, the goals flowed in the second half as Jean-Hein McFee and Joshua Araujo-Wilson scored two goals apiece. Zachary Welch was not left off the scoresheet for Fatima, while St Mary’s got a consolation goal from the penalty spot. In the other match played yesterday, Queen’s Royal College moved further from the relegation zone with a 2-1 victory over Carapichaima East at the latter’s school ground. 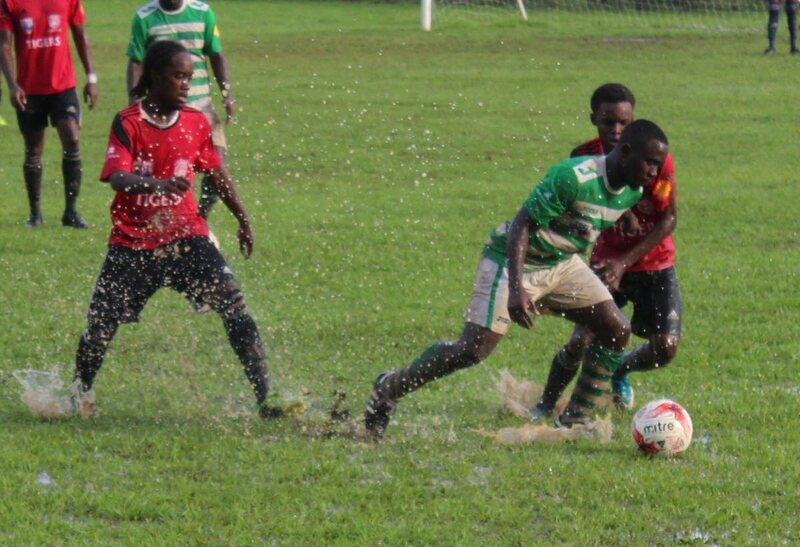 The St Benedict’s-Shiva Boys contest and the Presentation San Fernando-Trinity East match were postponed due to rain, while the Signal Hill-Trinity contest did not kick off as Trinity could not get a flight to Tobago. San Juan North were on a bye as Fyzabad Secondary were thrown out of the league on Thursday after fielding two ineligible players. Reply to "Naparima crush Speyside 5-0 in SSFL"